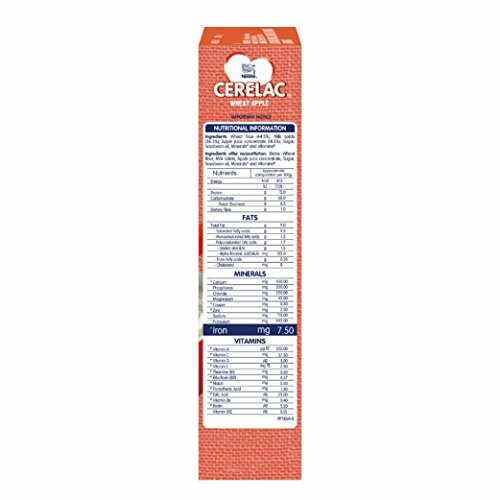 Each serve of cerelac provides the goodness of cereal with 19 important nutrients. 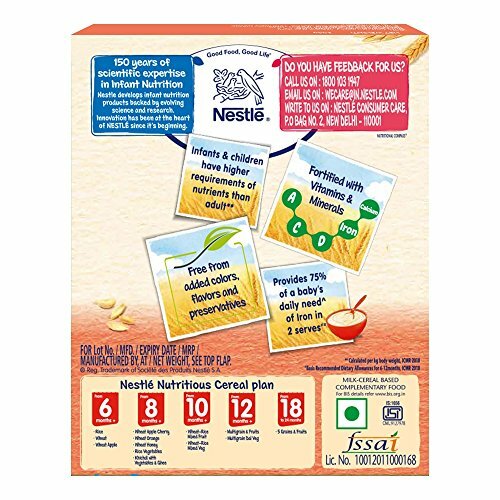 This iron fortified cereal provides the combined benefit of cereal and milk. It is free from added artificial colours, flavours and preservatives. 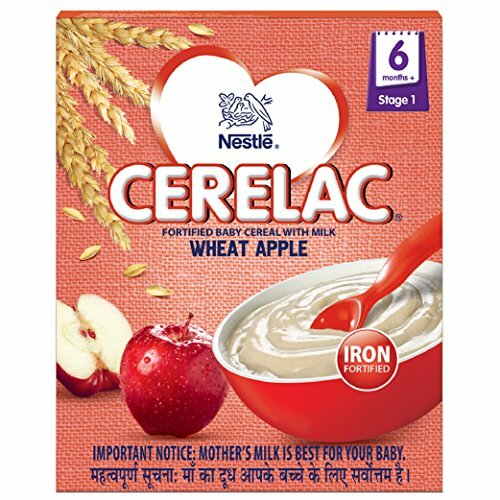 At ebay.in you can purchase Nestle Cerelac Infant Cereal Stage-1 (6 Months-24 Months) Wheat Apple - 300 g for only Rs. 170, which is 5% less than the cost in Amazon.in (Rs. 179). 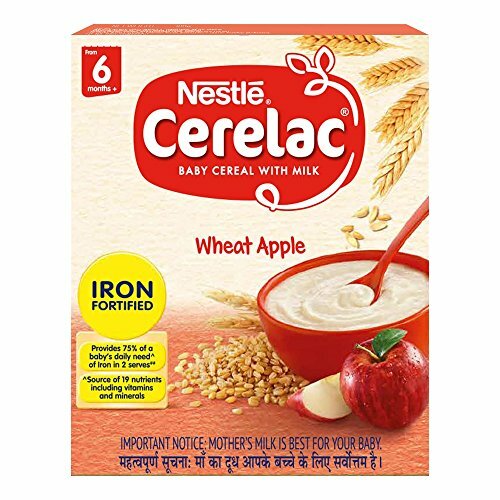 The lowest price of Nestlé Cerelac Fortified Baby Cereal with Milk – 6 Months+, Stage 1, Wheat Apple, 300g was obtained on April 8, 2019 12:39 am. 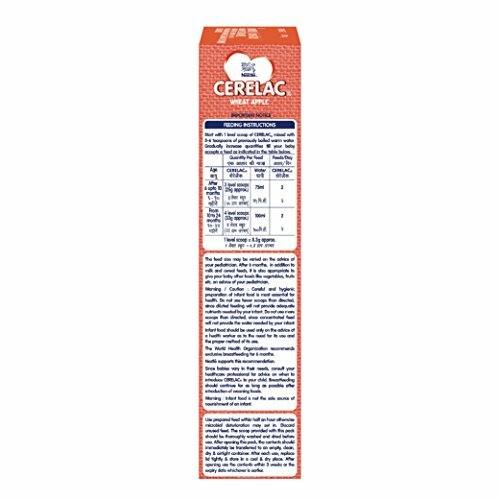 Very unexpectedly, I found the Cerelac to be very moist and crumbly, as if it was old stock. It also smelled very milky, which is rather unusual for Cerelac. Excellent quality. recommended for daily use. 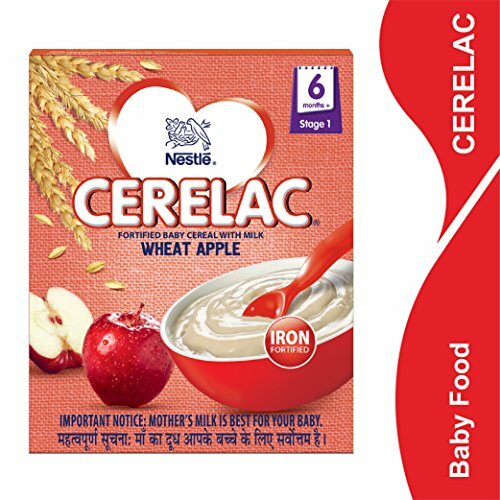 Trust me your baby will love the delicious flavour of this cerelac. Its the best and reasonable priced. Go for it. But use only when u r traveling or when ur baby is fussy n not having meal. 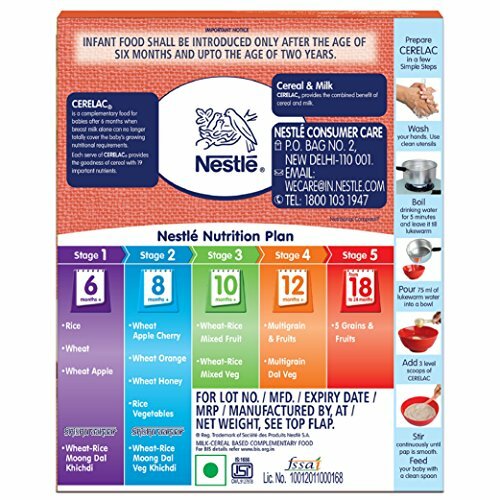 Good product since we have been feeding our 11month old since the infant was 6months as breakfast meal and she loves it but we do add some mashed bananas or fruits to it and mix it in hot water.